We chatted with Shayla to get a feel for her personal style, wedding details, and the reason why she picked this dress to be the one! What made your bridal gown the one? "When thinking about my dream wedding dress I knew I wanted something that was detailed and I knew I wanted lace. I got my dress in Greenville, South Carolina. My dress was actually the only dress I tried on that I liked and the belt was a piece that was added to the dress. I also knew I wanted a detailed back!" What drew you to the Lace House for your bridal portraits? 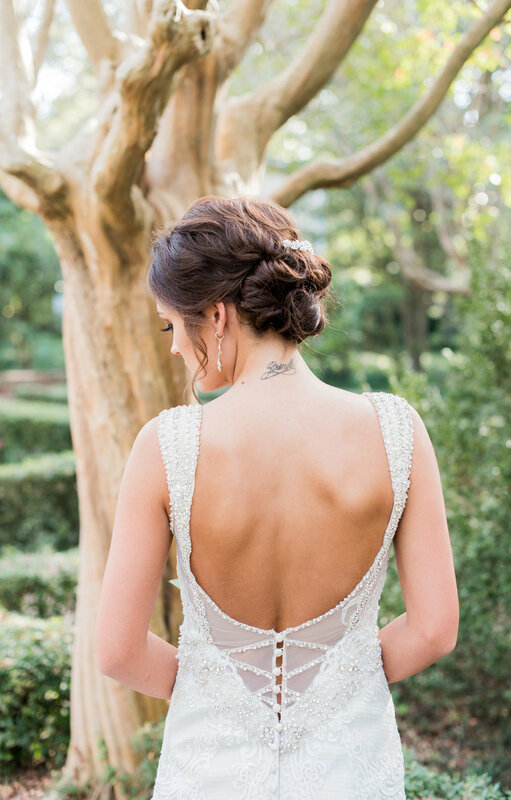 "I knew I wanted to take my bridals in Columbia just because that’s where I’m from. 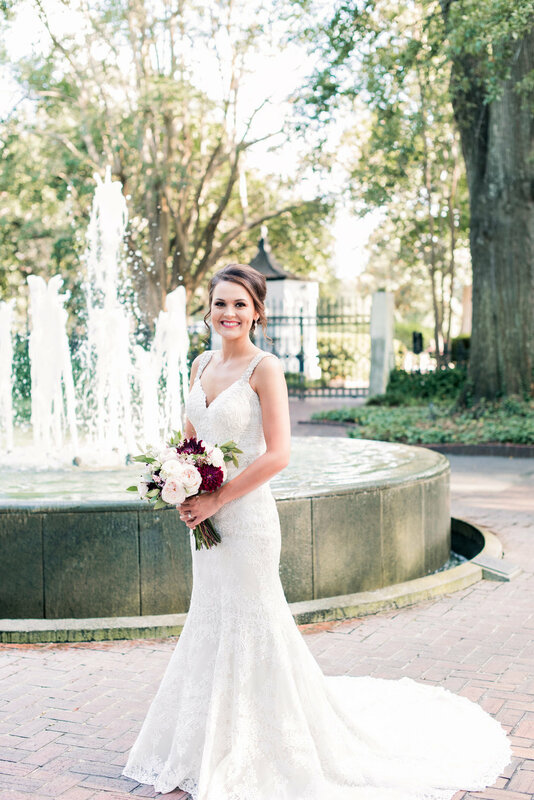 I choose the Lace House because I wanted pretty gardens and greenery for my bridals since I knew I wouldn’t have a lot of scenery like that at my wedding venue." "The vision for my wedding day was simple and elegant. I also wanted my wedding to have some rustic touches to it and to represent the fall season. So, I used lanterns for decor and had candy apples for wedding favors!"